You do want to be part of the show? 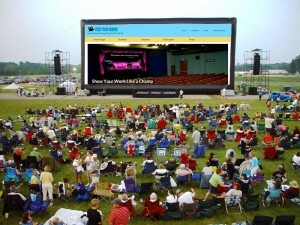 This is the place where you not only get a good seat in front of the screen but you will get to put your work on the screen. Complete the form below to connect your blog to the You Show site. This is the place to add the site you are using for this course to the You Show Blog Hub. See also the guidebook for information about choosing a blog platform. We will not publish your name, and feel free to enter a nickname, pseudonym. Just so we know who you are. Or who you tell us you are. Do NOT include the "@", ok? And do not enter a URL- just the username. If you are not on twitter, why not create an account now? We will not force anyone to use twitter (though it is the best way to connect with others). If you prefer not to use it, please enter what is hopefully a unique username (this is how we identify the owner of a blog added to this site). We will not publish it or sell to evil spammers. We just ask in case we need to confirm or clarify any information provided here. What's your role and/or department at TRU? Just so we know your interests, what sort of show will you work on during this seminar? This is where we get the information about the blog you will use to publish your own You Show. You can use any platform as long as it publishes an RSS feed. Your blog must also be publicly viewable- make sure it can be seen when you are not logged in. We suggest Wordpress, Blogger, or tumblr. Make sure you have published at least one post there and that the site is publicly viewable. If you would like a TRU-hosted Wordpress blog, send Brian an email (blamb@tru.ca). Even if you are a world renowned expert blogger, it's best if you make a brand new blog for this work. Trust us. But do not take that as an ironclad rule. 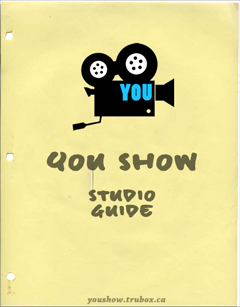 It is your show. If you use a blog where you write about other topics, create a youshow15 tag/category and find its RSS feed. Or let us know in the notes below and our technician ferrets will find it. The addresses we ask you for below are very important to enter correctly, so excuse us if we remind you multiple times to verify them! The ultimate goal is to connect your blog to ours. This should be the main or home address that shows all of your posts, like http://iamsoconnected.tumblr.com or http://connectivitytothemax.wordpress.com/ Please make sure this URL works and links to the place to view the main entry to your blog in a web browser! Enter that web address for your blog into the Feed Finder Magic Box (this link will open in a new window so you will not lose this form). Copy the RSS Feed URL that comes out of Magic Box and enter it below. Please make sure this URL produces something in a web browser, even if may look like code gibberish... If the Magic Box has no magic for you, or you are totally lost, just enter your web address. Our crew will fix things for you.